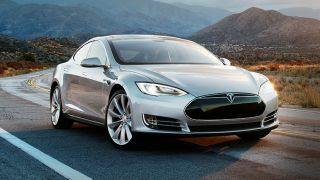 Tesla vehicles crash rate dropped almost 40% after the installation of Autopilot's Autosteer feature, a new report from the US National Highway Traffic Safety Administration (NHTSA) reveals. The report comes as the NHTSA closes its investigation into a 2016 crash that killed a Tesla driver whose Model S was in Autopilot mode. The agency cleared Tesla of fault in the incident, saying it didn't find any defects in the design or performance of Autopilot or Tesla's Automatic Emergency Braking system. Tesla won't face a recall as a result of the crash, either. Autosteer is at the heart of Autopilot, and is designed to be used on highways and limited-access roads. The feature arrived in 2015, and using a Tesla vehicle's front-facing cameras, radar and ultrasonic sensors, detects lane markings and the presence of other cars and objects to stay centered in a lane. The NHTSA highlighted Tesla's efforts to convey the limitations of the system and instructions in the owner's manual and elsewhere that drivers must keep hold of the steering wheel and be able to take control of the vehicle at any time when using Autosteer. Visual and audible warnings and disengagement of the Autosteer system for the remainder of a trip are some of the steps Tesla has taken to keep drivers engaged when Autopilot is activated, the report says. According to the report, Tesla took factors such as driver distraction into its development of Autopilot, and further updates have reinforced keeping hands on the wheel and being able to take over the vehicle. The NHTSA notes the fatal 2016 crash appeared to involve "a period of extended distraction (at least seven seconds)". Its reenactments found the driver should have been able to see the tractor trailer he collided with for at least that length of time before impact. Tesla CEO Elon Musk shared two brief tweets regarding the NHSTA's findings. He also noted in an exchange with followers that Tesla is targeting a 90% crash rate reduction with its second-generation self-driving hardware and Enhanced Autopilot features "as the software matures." The NHTSA's report should bolster Tesla and other car maker's efforts to introduce autonomous driving features in their vehicles, especially since Autopilot actually reduces crashes, as the agency discovered. Still, the NHTSA (and Tesla, for that matter) are quick to warn that drivers should keep their full attention on the road and hands on the wheel, ready to take control of the vehicle at any given moment.